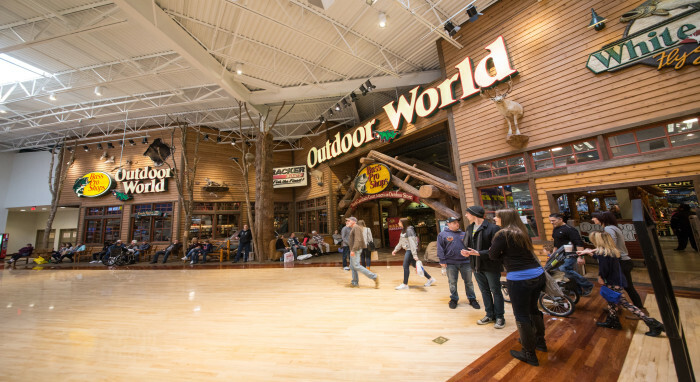 The #1 shopping entertainment destination of the Carolinas and North Carolina’s #1 visitor attraction. Concord Mills features over 200 stores including manufacturer and retail outlets, off-price retailers, and unique specialty stores. A recently renovated Food Court, Dave & Busters, a 24-screen state-of-the-art AMC Theatre and interactive attractions like SEA LIFE Charlotte-Concord Aquarium, Dave & Buster’s and The Speedpark are all part of the shopping adventure. Concord Mills features great stores such as Bass Pro Shops, Banana Republic Factory Store, Bose, Brooks Brothers Factory Outlet, Coach Outlet, The Disney Store Outlet, Eddie Bauer, Forever 21, Francesca’s, Gap Outlet, Group USA, Lego, Michael Kors, Nike, Polo Ralph Lauren, Tommy Bahama Outlet, Vera Bradley and many more! More information on Concord Mills and surrounding areas is available at the Welcome Center near Entry #5. To book a hotel room with one of accommodation partners click here!